I was recently at Costco with my mom and I got sucked in by the demo ladies. This is not a surprise. I think part of why people go to Costco is BECAUSE OF the demo ladies. Amiright???? Anyway. 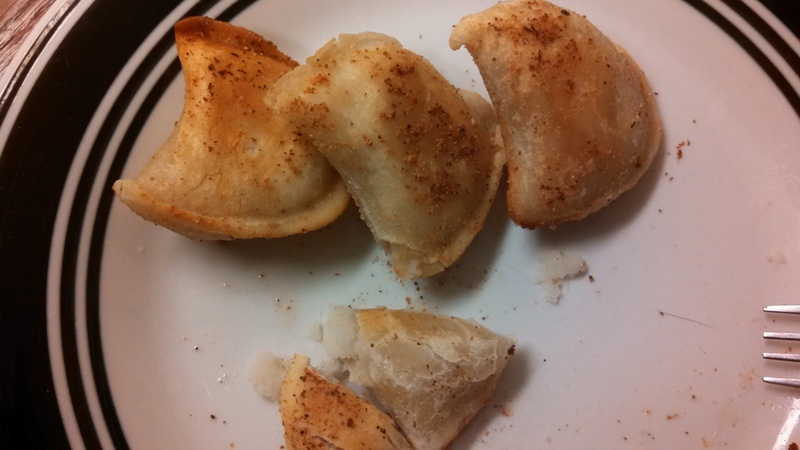 There was a demo for the four varieties of Peter and Pat’s Pierogies and I ate bites of all four. Then more bites. Then more bites. Then I left. And came back. And decided to buy a bag. Which means I needed more bites. 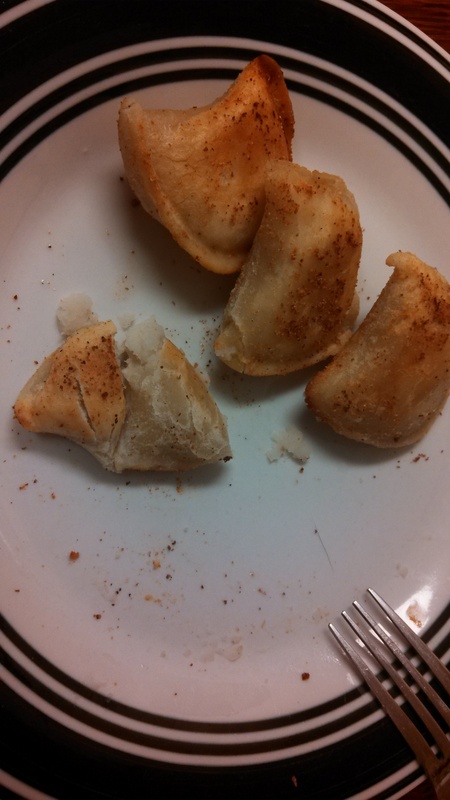 In my defense, they had cut each small pierogi into about 4-5 pieces, so it’s not like I consumed *that* much. I ended up getting potato and onion, but they also have: potato and cheddar, potato and spinach, and potato, jalapeno and cheddar. Let me tell you, it was very, very hard to make up my mind. Bottom line: buy these the next time you see them at Costco (they are available during roadshows). Or see if they are available for purchase online. You will not be sorry! Im trying to see if they are online but all I see them associated with is Costco. Has anyone seen anything different?